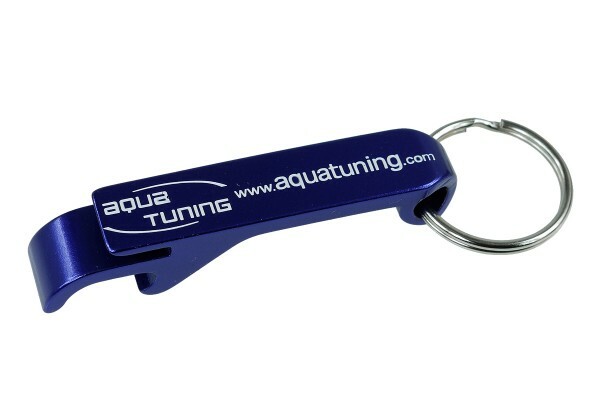 Aquatuning bottle opener, show what you have! Every water cooling user will sooner or later meet Aquatuning as the ultimate source for your water cooling needs. When running a water cooling system, one is always proud of it. But it is always hard to show what is hiding under your desk at home. This is where the Aquatuning bottle opener comes into play! Show what you have at home with the Aquatuning bottle opener! This bottle opener is both functionally and optically a great accessory! Who needs a yacht, who needs a fancy car: My water cooled system an Aquatuning are plenty!